Cheesy Roasted Asparagus – Even picky eaters will LOVE asparagus when it’s roasted with onions and covered with melted CHEESE!! 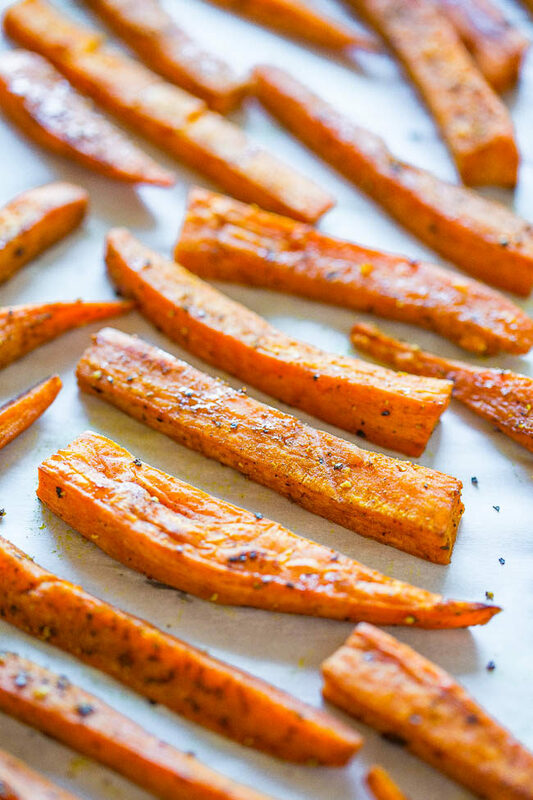 A fast and EASY side that’s perfect for busy weeknights!! 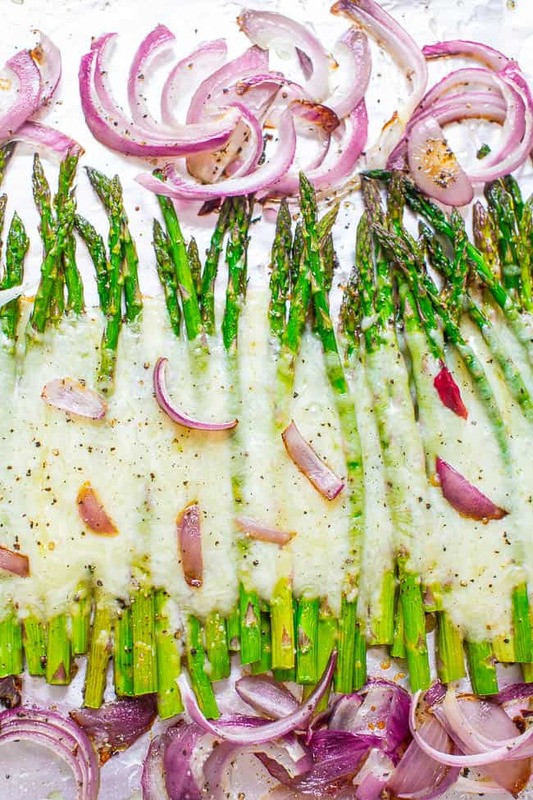 If you have some picky eaters in your house or people that ‘don’t like vegetables’ or aren’t fond of asparagus, I can almost guarantee they will like it when it’s roasted with red onions and covered with cheese. Take advantage of springtime asparagus while you can. 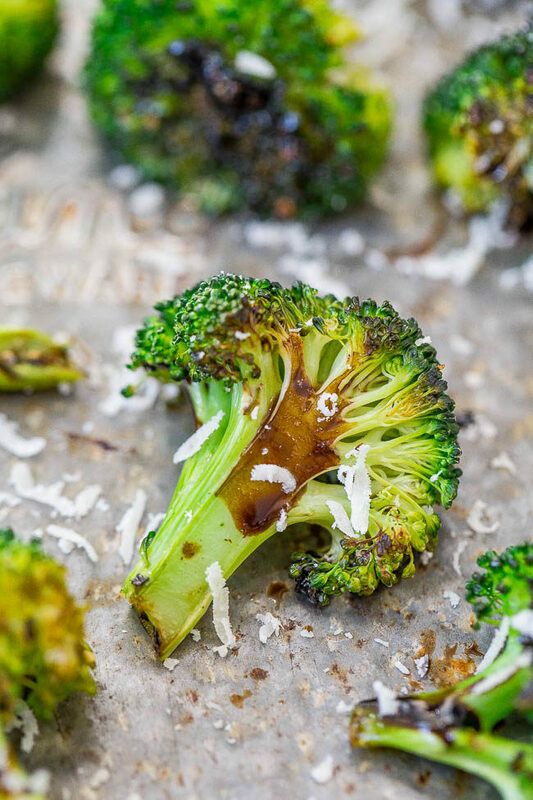 This is a perfect fast and easy side dish that’s ready in 20 minutes. Or if you’re like me and love both roasted vegetables + cheese, then this is a meal unto its own. 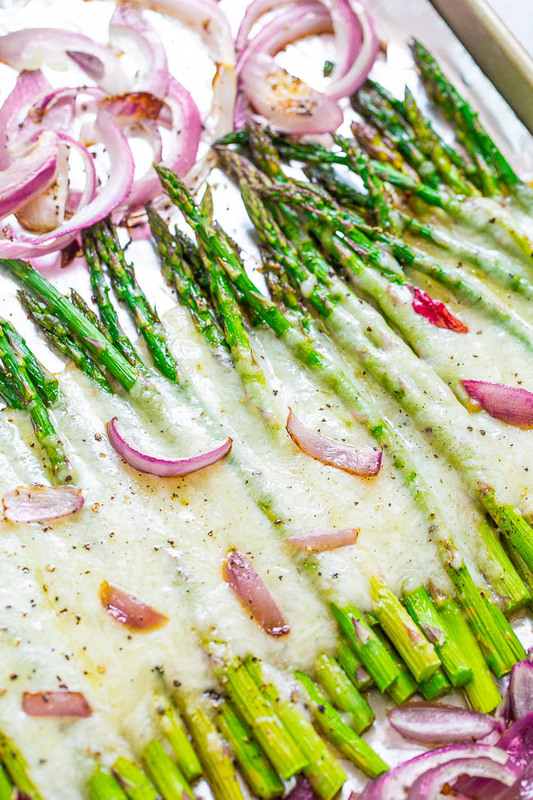 Low carb and naturally gluten-free, the asparagus is crisp-tender, the red onion imparts extra flavor, and the cheesy is ooey and gooey. Preheat oven to 425F. 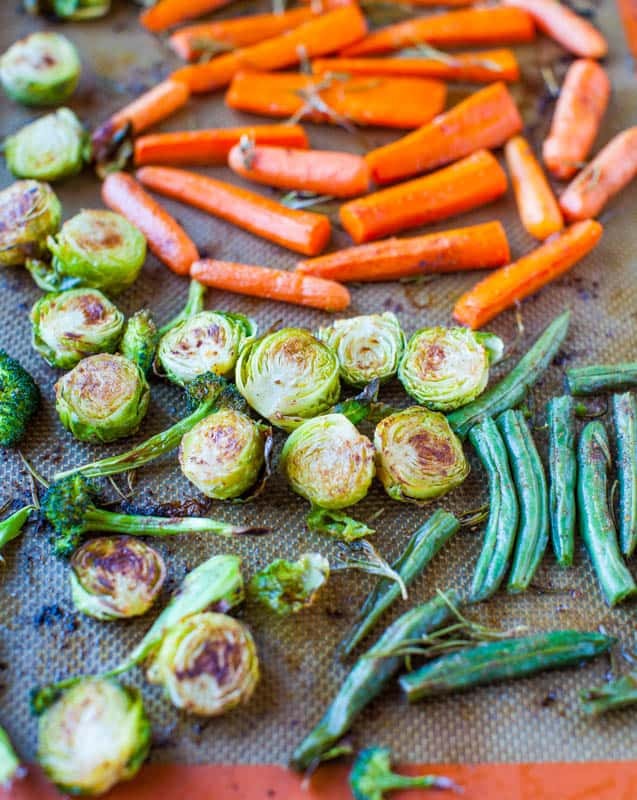 Line a baking sheet with foil for easier cleanup. Add the asparagus and onions to the baking sheet, evenly drizzle with olive oil, evenly sprinkle with salt and pepper, and use your hands to toss to coat evenly. Bake for about 12 to 15 minutes, or until asparagus is crisp-tender. 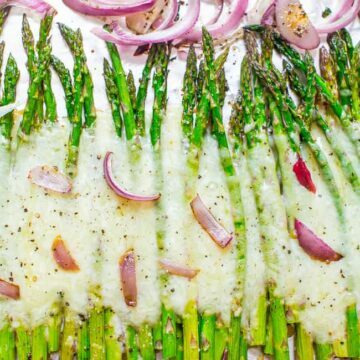 Remove baking sheet from the oven, evenly sprinkle the cheese over middle section of the asparagus, and return the baking sheet to the oven for about 5 minutes, or until cheese has melted. 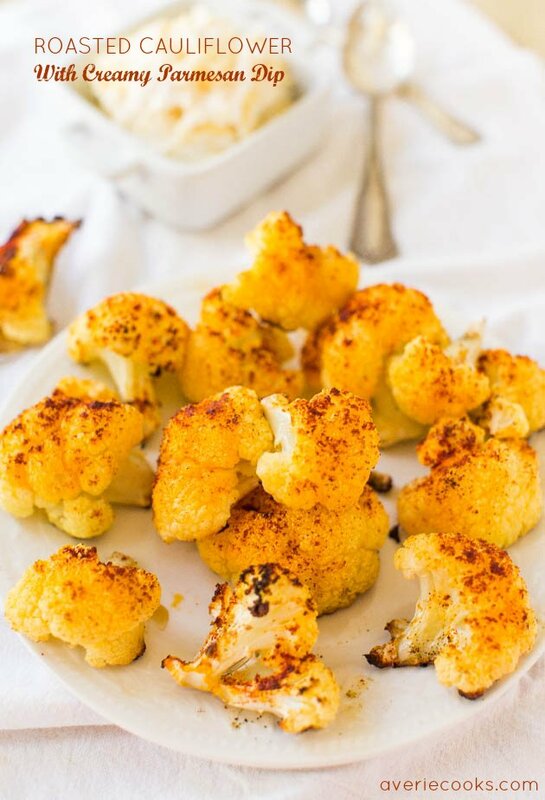 Alternatively, place the baking sheet under the broiler on high for about 3 to 4 minutes if you prefer your cheese to be more golden browned rather than simply just melted. If you’re using the broiler, keep a very close eye on things since food can burn very quickly under the broiler. Recipe is best warm and fresh. 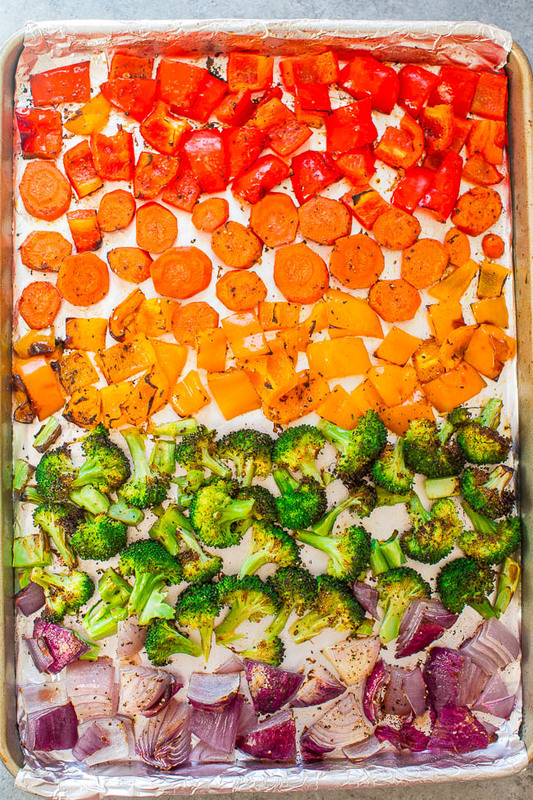 Rainbow Roasted Vegetables – Trying to eat more vegetables? Seeing the rainbow should do the trick!! 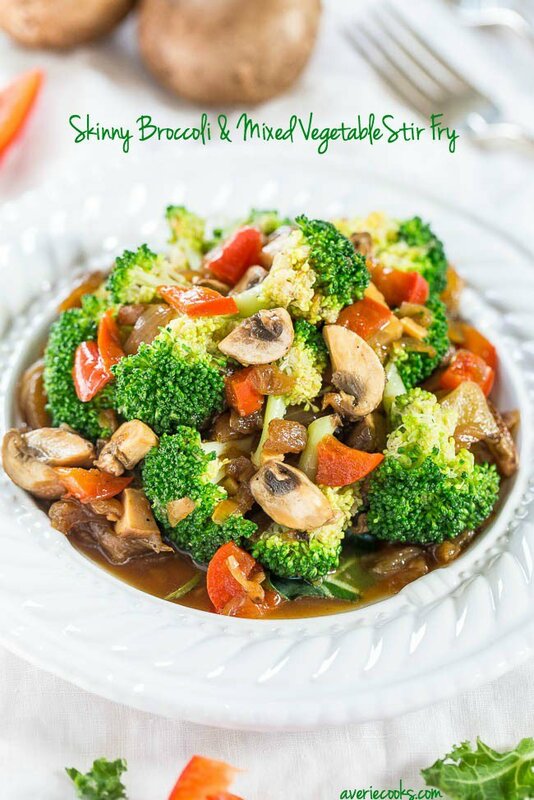 Fast, easy, and as healthy as it gets! I appreciate being able to buy all kinds of produce year around, but I especially like asparagus in the spring. I think the stalks are a little thinner and more delicate. 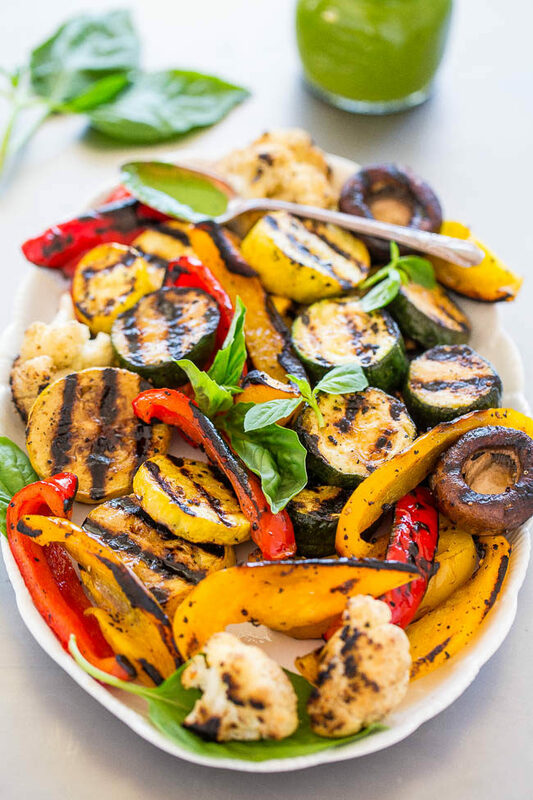 This looks wonderful and I am going to make it this weekend–(probably on the grill)! I totally agree about the stalks. They are more tender and less fibrous and woody to me. Doing this on the grill sounds great! Loved this!! I folded the edges up on a piece of foil and slid it onto the grill…so good! I think I might mix a little parmesan into the mozzarella next time. If you have parm on hand, it would be wonderful with the mozzarella. Great idea to just slide this on the grill! Yum this looks amazing! I was an adult before I ever even tried asparagus(!) as my parents were not adventurous vegetable eaters. My husband, daughters and I love it prepared any way, but my mom not so much. I am going to try one more time to convert her with this recipe, thanks! I hope this works to convert her. I am glad to hear you have branched out and love asparagus now! WHY have I never thought to add cheese to asparagus?! YUM!! Makes it so much tastier! I really love your recipes, but I wish I could save them to Pintrest. Do you have a way of doing that that I simply do not see? Thank you so much for your wonderful recipes! I apologize, I found the post area for pinterst..sorry for bothering you! Roasted asparagus is so good with cheese. I make mine almost the same way, but I add a little garlic with the salt and pepper. 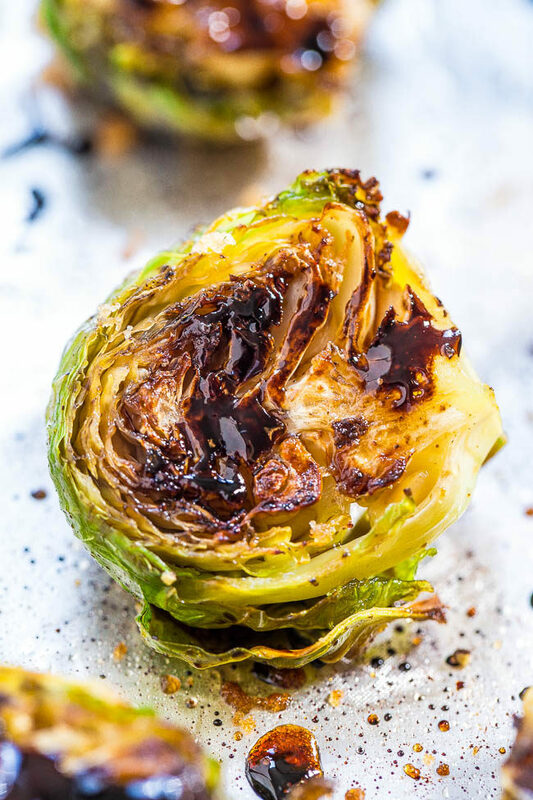 This is such an easy and delicious side dish idea! I love it! Perfect for Spring and Summer dinners! Super easy and quick, too! Look at all that cheeeese! 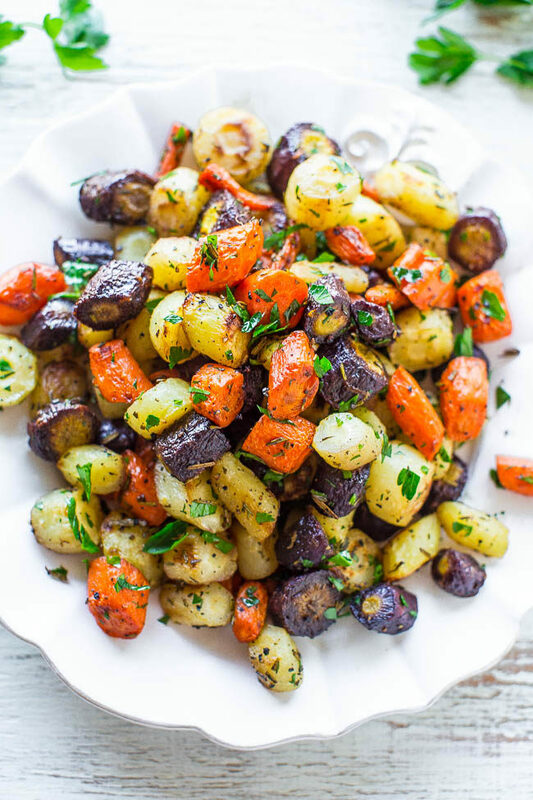 This looks like the perfect side dish for summer. The cheeeeese is what makes it SO good!